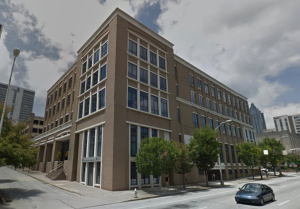 This year’s php[tek] will be hosted at one of Atlanta’s best venues: the Loudermilk Conference Center. We are excited about the focused experience we’ll be able to create for attendees at this dedicated facility for events just like us. The venue will be providing lunch, morning and afternoon snack breaks and unlimited caffeine sources for you. Plus as a group used to dealing with technology conferences like this, they have superb wifi capabilities to keep you connected the whole time. The Loudermilk Center is well positioned in the area, being just far enough away from the tourist areas that you don’t have issues being overrun, while still having everything you’d want to see in easy walking distance. They have a parking garage connected to the building, and easy access to the MARTA (Atlanta’s light rail system) to let you move around at a flat rate of $2.50 per ride. The MARTA is also the cheapest way to get from the airport to the hotel. Just get off the Peachtree Center stop and you are just a couple blocks away. They have full directions and much more information on their transportation page. There is not a hotel attached to the venue this year, but there are many within a short walk from the Loudermilk Center that you might consider. 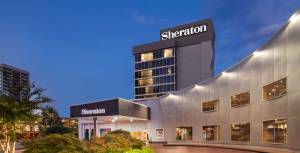 The speakers and staff will be staying at the Sheraton Atlanta just a couple blocks away, and if you’d like to join us there, we’ve negotiated a discounted block of rooms.